Chinese hardware manufacturer Voyo has this week announced a new Windows 10 tablet they have created in the form of the Voyo Vbook i5, which will soon be available to purchase priced at $480. The Windows 10 tablet is equipped with a 12.6 inch IPS touchscreen offering users a resolution of 2880 x 1920 pixels and 10-point finger input support. The Voyo Vbook i5 is powered by an Intel Pentium 4415U 15 watt 2.3 GHz dual-core processor supported by 8GB of RAM and equipped with a 128GB M.2 SSD, together with a handy microSD card slot to expand storage even further. The Windows 10 tablet is also equipped with a 10,200 mAh battery and features an aluminium magnesium alloy chassis. Other connections on the Windows 10 tablet include 2 x USB 3.0 Type-A ports, 1 x USB 3.1 Type-C port, 1 x micro HDMI port, 3.5mm audio jack. As well as a 2 megapixel front facing camera for video calling, together with a 5 megapixel rear facing for video and photographs. Connectivity is provided by support for dual-band 802.11b/g/n WiFi and Bluetooth 4.0. 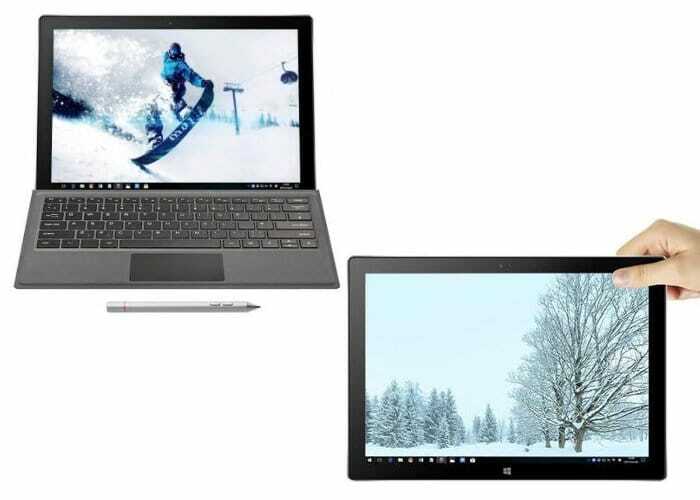 Due to the Voyo Windows 10 tablet being equipped with an Intel Pentium 4415U Kaby Lake processor rather than a Core M or Core i processor it might be worth waiting for a few independent performance reviews before parting with your hardened cash.